Crochet hats are a big hit over the web, and there is a big range of crochet hats that you can crochet at home for your kids and babies! You can only get inspired by anything special to crochet a fab looking hat! You can crochet beautiful animal inspired hats, cartoon-inspired hats, pokemon hats, Disney inspired hats and various other hats the kids love to wear! 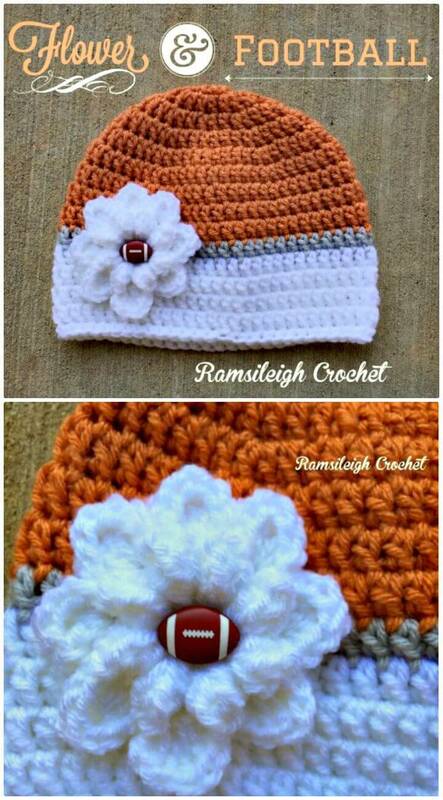 This time we are here with a new edition of crochet hats, check out here the football inspired crochet hat patterns that are lovely and would make a great addition to any kid’s crochet hat collection! Here these football inspired hat patterns are motivated by different balls, and you can duplicate your favorite one from the list! 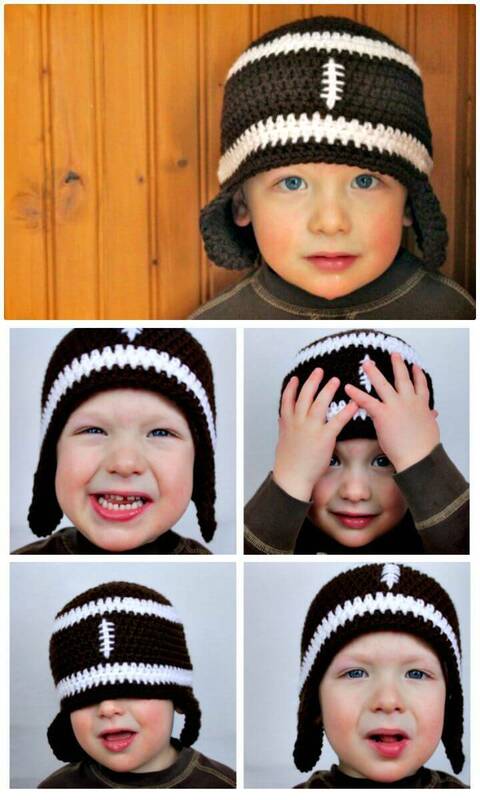 Just go with the dark brown and white yarn color and crochet outstanding rugby ball hats for little kids and babies, you can also crochet braids for baby crochet football hats! 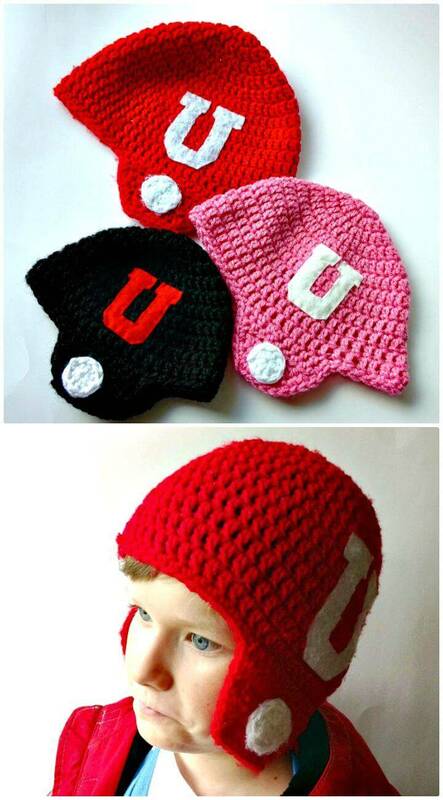 Moreover, you can too crochet the same rugby ball hats with earflaps if you need to cover your ears warm also! Get inspired by some damn lovely crochet rugby ball patterns that are brilliantly outstanding and mind-blowing to look at! 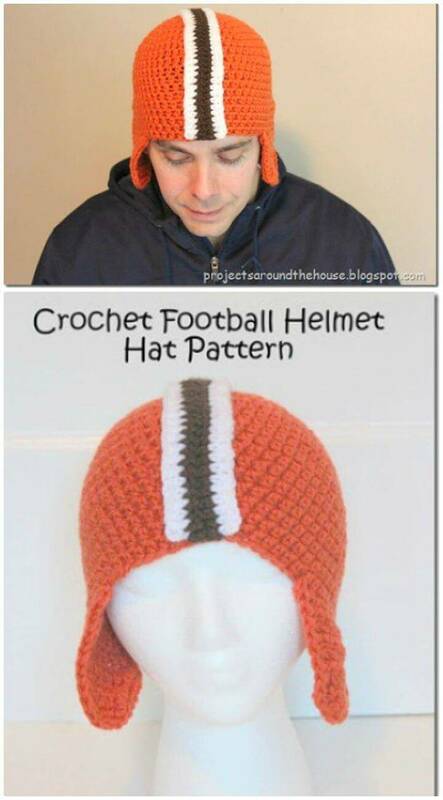 This not ends here, earn more respect and love of your kids also by crocheting football helmet hats, get inspired by the given sample hats that come with white buttons and with custom monograms! 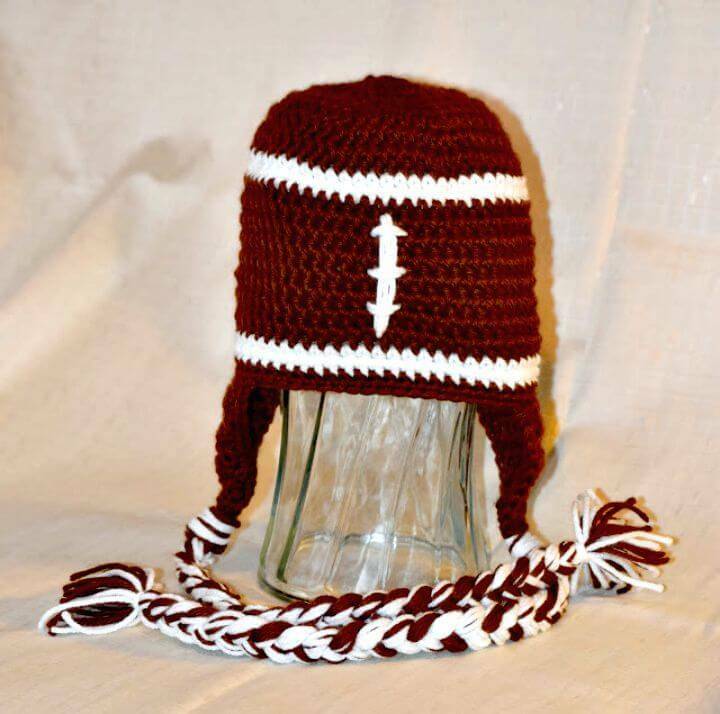 Furthermore, crochet normalfor color block or striped hats with custom football or rugby monograms that will rock as special sports crochet hat, have a look at the sample hats given in the collection! Moreover, if you are looking for some outstanding kids yarn gifts, then these crochet hats would also make a great choice! 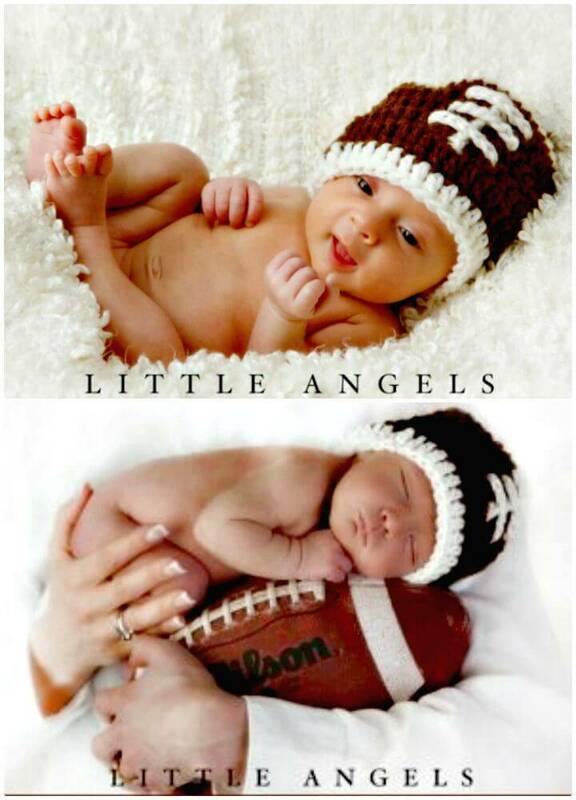 Next, these hats would also make heart winning gifts for every sports lover in your family! Furthermore, you can also personalize these hats using custom embellishments and decors and also by changing the yarn colors and monograms! 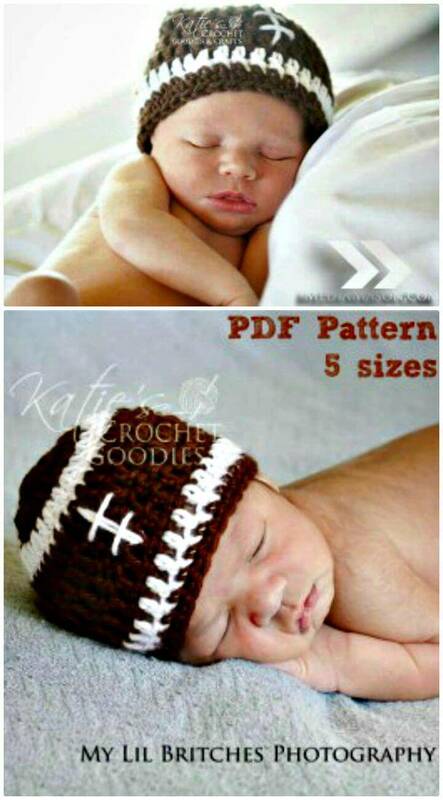 Go also with custom crochet stitches to vary the design textures of these adorable crochet football hats! The special puff stitch, the spikes stitch, the crocodile stitch and slip stitch would just rock while intending to vary the design texture of your crochet hat! Next, if you are planning out a great gift for a baby shower mother-to-be, then these crochet hats will also make an awesome choice! Prefer also these hats as a mind-blowing winter head-warmer for the kids and you can crochet them in chunky and light yarn weights to vary the amount of warmth they will provide to kids heads! 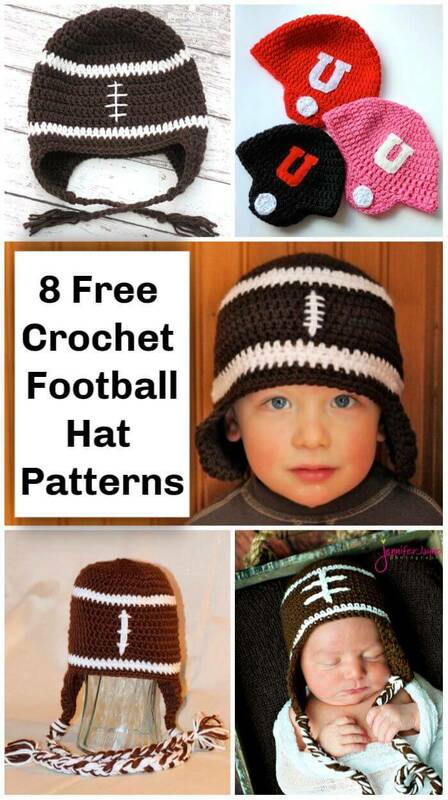 Take a quick tour of the entire collection of football hats and just choose your favorite design to crochet at home! To get the full free tutorial and free crochet hat pattern, just click on the source link posted under each crochet hat project!